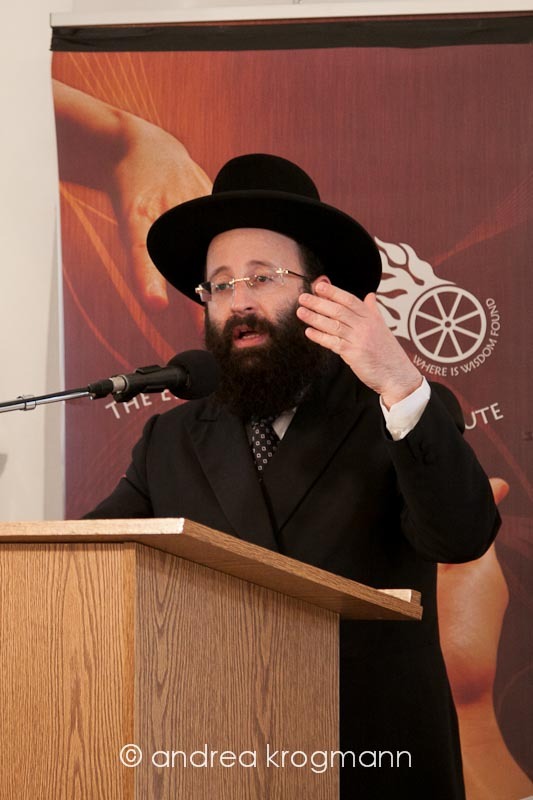 2011 concluded with an inspiring conference in Jerusalem. The conference, on the above theme, was organized by Elijah in partnership with the Swiss based Lasallhaus. The occasion was unique. Fr. 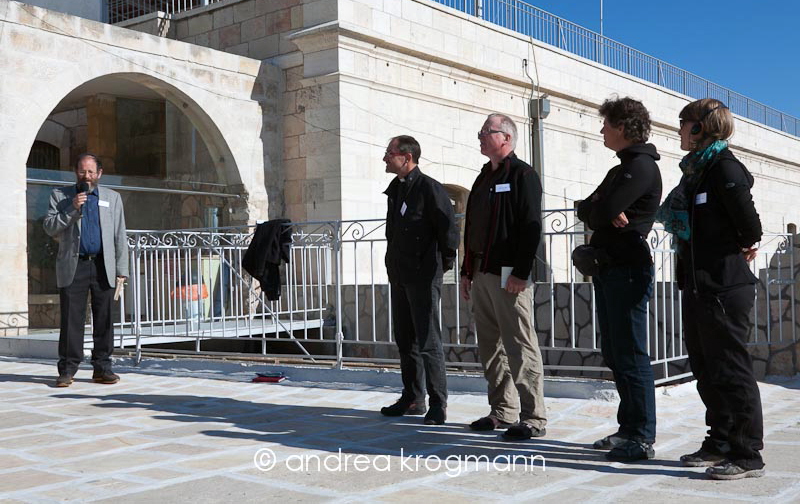 Christian Rutishauser S.J., director of LH had a dream for twenty years – organizing a pilgrimage on foot to Jerusalem. The pilgrimage was to be more than just a walk; it was to be a an opportunity for learning, and above all for interfaith sharing. A priest, a pilgrim, but also an academic, he envisioned the walk culminating with a peace conference, which he asked Elijah to organize. Recognizing the uniqueness of the occasion, a concept was formulated, that was suitable to this particular occasion: Pilgrimage to Jerusalem as Pilgrimage of Peace. The conference sought to explore in what way pilgrimage to Jerusalem, which for so long had been undertaken by members of our religions within the exclusive frame of reference of their own religion, can be practiced today with broader interfaith awareness, thereby serving as a pilgrimage of peace. A highlight of the event was learning about the journey of the 4 pilgrims, 2 men and 2 women, led by Rev. Dr. Christian Rutishauser, who endured physical difficulty but encountered human kindness and much natural beauty on their way. Hundreds of people accompanied them on various legs of their journey and 42 came into Jerusalem from Amman with them. For Christians, the journey to the place of pilgrimage is as important as the place itself. 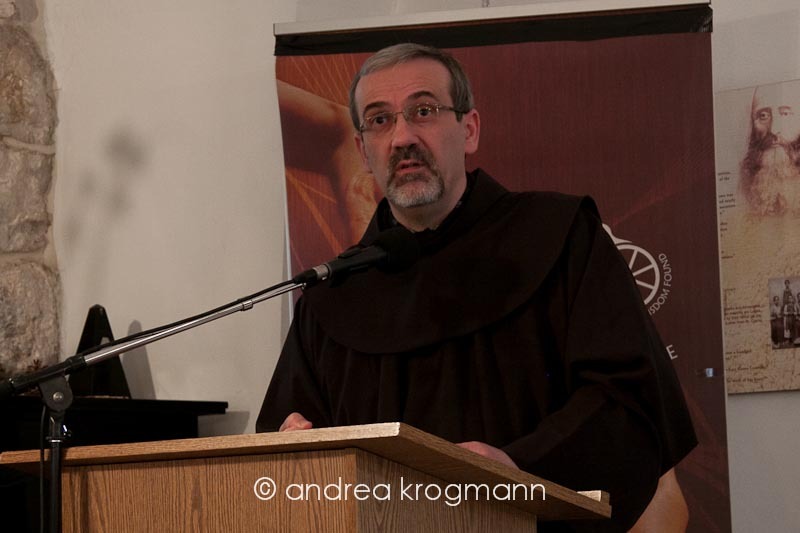 The Conference represented the end of the physical journey but the beginning of reflection on the meaning of what they had accomplished – and, in that sense, it was an inner pilgrimage for all who attended. When 46 Christian pilgrims arrived in Jerusalem on their way to Bethlehem for Christmas, Elijah’s Executive Director, Alon Goshen-Gottstein, wanted to greet them in the symbolic way, with bread and wine. 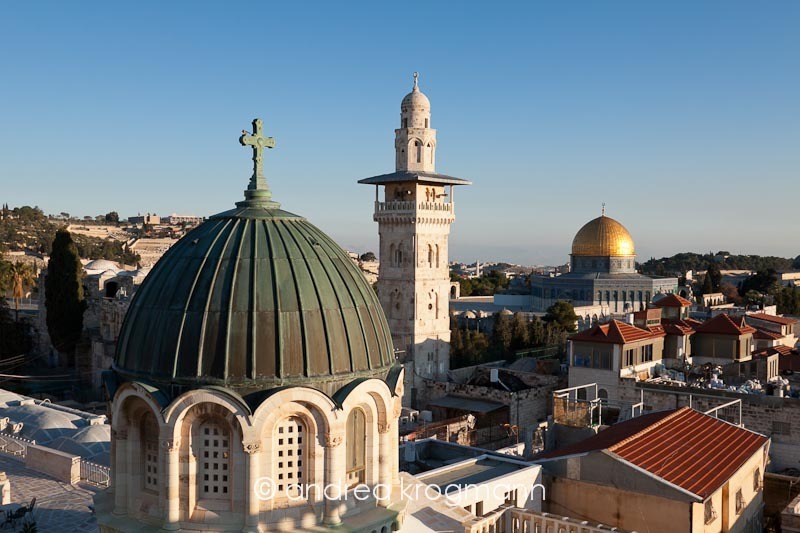 Sabbath observance made that impossible but a few days later, he was able to welcome them with metaphorical ‘bread and wine ‘ – sharing wisdom and song, on the gorgeous rooftop of Ecce Homo on Via Dolorosa. The event opened with a capella singing from the 4 pilgrims who had made the entire journey, followed by Alon Goshen-Gottstein’s beautiful rendition of Psalm 122. 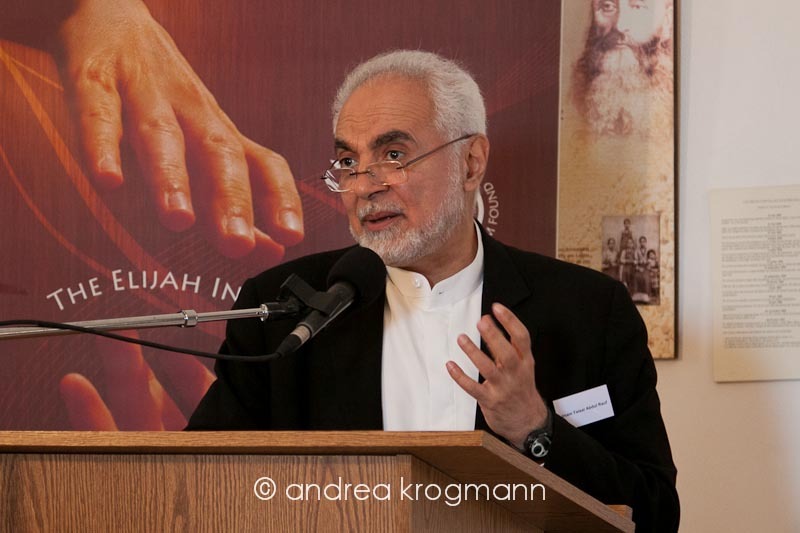 A keynote speaker represented each of the religions for whom Jerusalem is a place of pilgrimage – Professor Uriel Simon from Jerusalem, Abbot Notker Wolf from Rome and Imam Feisal Abdul Rauf from New York. Professor Simon led the 100 participants in a close reading of Psalms 15 and 122. 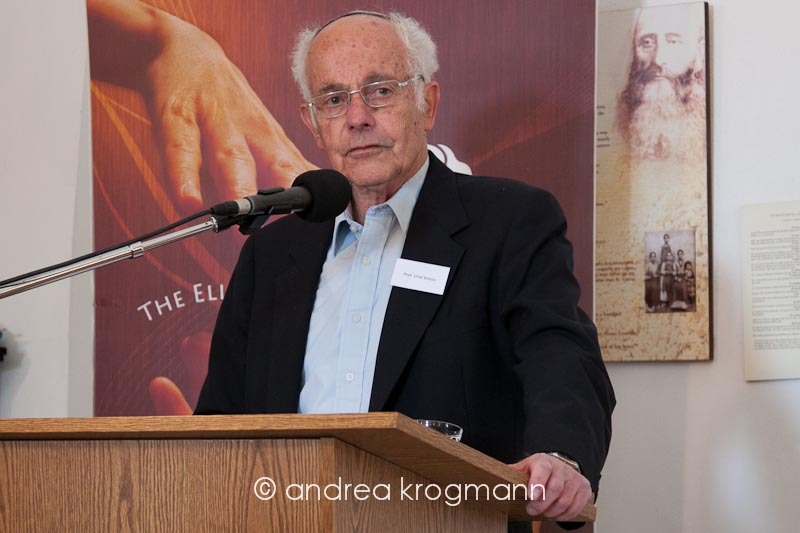 He demonstrated that the emphasis on the Psalmist in the first case was on the ethical values of the pilgrim to Jerusalem: the relationship of person-to-person rather than the relationship with the Almighty. The second case he chose was the Psalm that mentions ‘Peace’ 5 times – as he said, not political peace but a much more spiritual peace that is part of Jerusalem’s nature. Abbot Notker Wolf explained that pilgrimage is integral to Christianity and that, as a Christian, he feels exhilarated to walk in Jesus’ footstep in the city that was so important to him. He resonates with the vision of Isaiah, when all the nations of the world will come to Jerusalem in peace. Imam Feisal spoke of his dream of thousands of Muslim pilgrims visiting Jerusalem, boosting Israel’s economy and being messengers of peace. He opened an important discussion about the possibility of interreligious pilgrimage, which explored the question of whether it is possible to share the experience and the holy places of others. This question and others were deliberated in workshops on each day of the conference. A session was devoted to the history of pilgrimage to Jerusalem of each of the three faiths and another to existing programs of interreligious pilgrimage to Jerusalem or in other places. Participants were honoured with the presence of the Custos of the Holy Land, Pierrebattista Pizzaballa, and the Chief Rabbi of the Western Wall, Rabbi Shmuel Rabinowicz, each of whom spoke about the sanctity of the City and about the expectations for mutual respect that they have from their respective communities. Videos of the conference will be posted to Elijah’s website in the coming weeks. From March 18-22 the Elijah Board of World Religious Leaders will meet in Oxford for its fifth bi-annual meeting. The theme of the meeting is “Friendship Across Traditions”. On the occasion of this meeting, artist Hazel Kahan (www.leafages.com) has created a special poster that will serve the meeting. 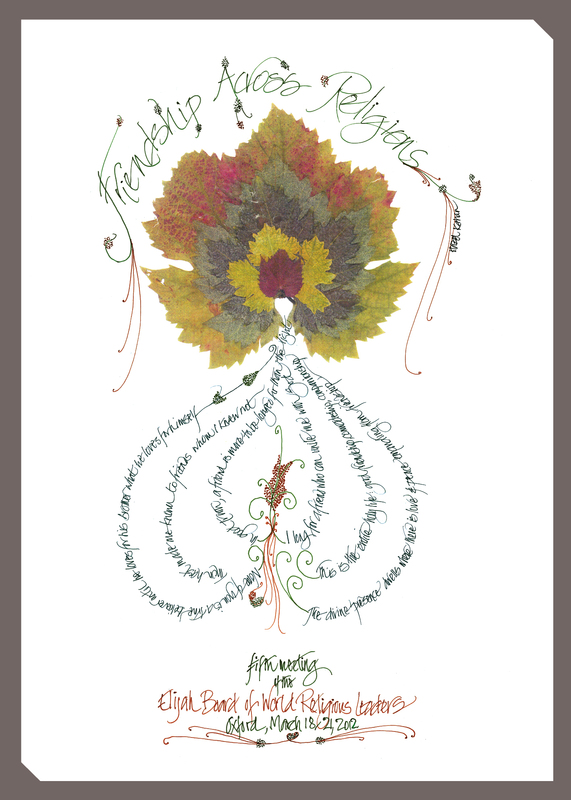 This unique poster, featuring quotes on friendship from 6 religious traditions is offered to you as a way of bringing something of the meeting into your home. It is also a way of helping us to meet the costs of this meeting, which are still far from being met. We ask for your support for the meeting by purchasing one of these posters. The posters (50×70 centimeters) make an inspiring decoration in the home, as well as a special gift for a special (interreligious) friend. Sharing Wisdom: The Custos of the Holy Land and the Rabbi of the Western Wall discuss Pilgrimage to the Holy Land. What is the nature of ‘pilgrimage’? Pilgrimage is to experience and to meet the holy places. From a Christian point of view, there are things that are only possible to meet in the Holy Land – the holy places of Christianity. All the Land is holy because Christianity is incarnation. If there is incarnation, there is also the place where the incarnation takes place. This is only here. The pilgrimage to the Holy Land is unique. There are pilgrimages to the other parts of the world but this is unique. It goes to the roots of our faith as Christians. All the Land is witness to the revelation because the revelation is historic. There is a history of salvation, there is also a geography of salvation. If you remove the geography of salvation, there is no history. The holy places are the memory of some of the important passages of the history of the revelation connected to the New Testament. Pilgrimage marks the meeting, the connection between history and geography, between event and place, the content of the Scriptures, to connect what we believe to the Land, to the place. It is an experience of faith. We come here with a religious motivation. Other aspects are secondary. Pilgrimage is connected to peace. Pilgrims don’t come to understand the political situation. The motivation of the pilgrim is religious. You cross borders to get here and you can cross all the borders when you are here. As a Christian, you can go everywhere. When you come here as a Christian, for most people it is the first time that you exposed to the under-standing and the presence of other Christians. For the Catholic, they see for the first time Orthodox and other traditions. Other communities keep different Christian traditions and it is not always easy to understand. This first exposure to this reality is important. The ecumenical dimension is important for the future. After the pilgrimage is when you understand the significance of the pilgrimage and why ecumenical dialogue is important, so this ecumenical encounter is very important. This is also the first time that the average Christian sees Jews and Muslims in their own context. Jews and Muslims are everywhere, of course, but here for the first time they are seen in their own context , their own traditions, their own habits, and this is very important. This raises a lot of questions. The pilgrimage to the Holy Land for the Christian is an encounter with the roots of the faith with its places in the Land but you discover also that the land itself is not just stones and desert but also people that are connected with the Land. The encounter with Jesus, with the heart of the faith, cannot be separated from the encounter with people who hold different traditions. In Hebrew, ‘pilgrimage’ is called ‘aliyah’ ‘ascent’. Going ‘up’ is more difficult than walking on a flat sur-face or going town. The language of ‘ascent’ is because it is difficult and complicated, spiritually as well as physically. A person has to rise above his daily life. He has to neutralize himself from self-interest. We also call any visit to Jerusalem an ‘ascent’ (‘pilgrimage’). Just to come to Jerusalem, you need to rise above personal self-interest. According to the Torah, before Jacob left the land, he had the dream of the ladder based on the earth (here on the Temple Mount, just across the road), and ascending to heaven, where angels ascend and descent. He came to the realization that this is the House of God and the gateway to heaven. Jerusalem is not just a home for God, it is a gateway where you can look upwards and also can be seen, downwards, from heaven. When we come to this place, we have to look upwards. I recall King Solomon’s prayer at the dedication of the First Temple, (1 Kings 8-9) where he says that anyone who opens his heart in prayer in this place will be heard by the Almighty. He lists all the various difficulties humans face – war, illness, all the imaginable problems – and he prays that anyone who comes here to pray in sincerity, Jew or non-Jew, will be heard and answered, deserving or not deserving. Solomon is specific about the fact that it includes the non-Jew who comes from distant lands. God answers that he has heard Solomon’s prayer and His eyes will always be there. Hence, the power of this place for all the prayers that one addresses to his Maker and the efficacy of prayer here. And no-one has a monopoly of God. Whoever thinks he has a monopoly of God, has no God. Quoting the daily prayers, which Jews recite three times a day, ‘He Who makes peace in Heaven above, may He make peace below’. The way these particular words are recited is to take three steps back, to turn left, then turn right, then forward for prayer. Someone who wants peace on us has to step back, cast all their personal interests to the left and to the right, to make room for others, before turning to prayer. Ascending is not just the physical effort, it is also the spiritual effort to detach yourself from your personal needs. You have to look upwards when you are in this place. When you look up, you don’t look who is to your right or to you left. This city has to be a model, a symbol of how people can live together, in harmony and brotherhood. For me, if you throw a stone at a woman or another human being, this is not religion. You cannot exploit religion for your personal self-interest. Religion cannot be used to advance self-interest. It is sad that in every religion there are fanatics and fanaticism is just a cover for self-interest. We need to denounce and to root out these fanatics from among us. No religion condones hurting others, war or murder. Jerusalem is holy to all of us and we must not fight over her. The aspiration for holiness is something lofty and it is inconceivable that it should lead to bloodshed. Faith in God is respect for everything that God has created. Belief in God is respect for every living being. We are glad that you have come here. Your ascent is not just a physical march, it is a spiritual march. My wish for all of you is that you are able to take some of the spirit of this place with you. Quoting the Prophets, ‘Nation shall not lift up sword against nation and they shall know war no more’. To see the complete discussion on our Youtube channel, please click here.